With my hands always exposed, lending, mending and nurturing...they often get neglected and are in need of some extra care. 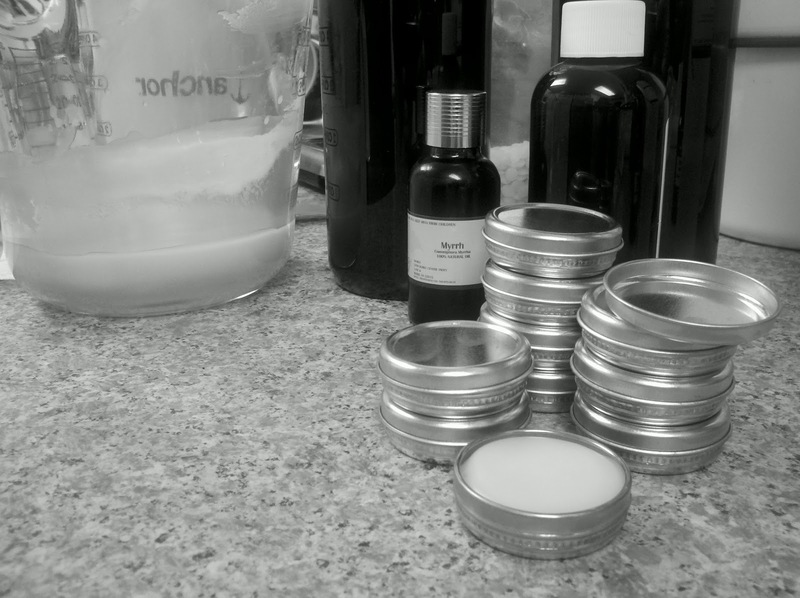 After taking an in depth look at some of the balms and salves on the market, I thought to myself - there has to be a better way! So many chemicals and ingredients even google's never heard of. So I sat down and did some research...and came up with a natural, healing antiseptic salve. Using some of my favorite organic oils which include Myrrh, Tea Tree & Jojoba. My mitts are now merry and my mind is at ease! And because I love to share, Merry Mitts is now available in trial size tins at all our Market locations!